Must See – new Hubble Telescope image – and a titillating news title courtesy of @TheRegister! The Register often provides a good laugh with its humorous science reporting titles (often dripping in innuendo). This week, the title for a story about the new image from the Hubble Telescope is golden: “Hubble ‘scope snaps ENORMO SPACE ERECTION: Pillars of Creation 20 years on.” Despite the humorous title, the article contains lots of info on the new Hubble image, as well as a number of good quotes! Kudos to The Register for keeping science writing interesting, and for its titillating titles! 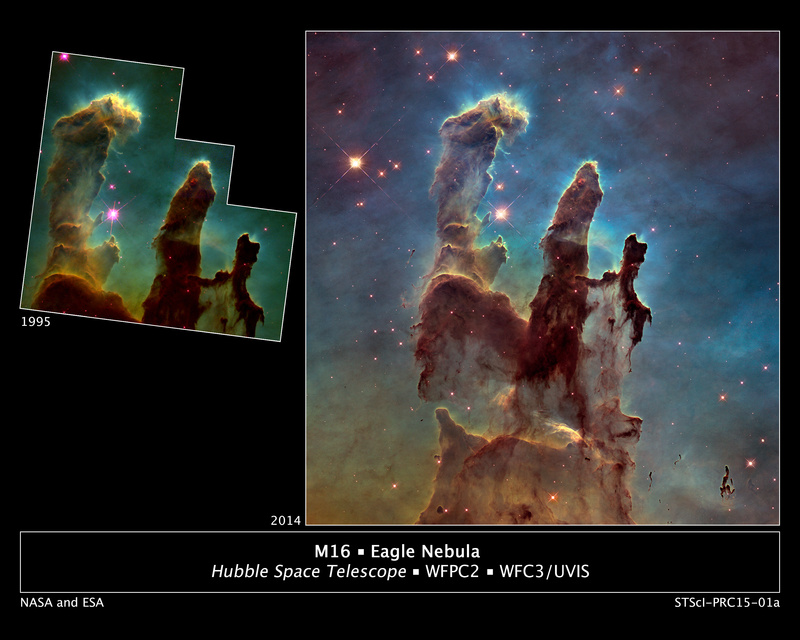 More info on the Hubble image is here at NASA’s webpage. (image credit: NASA and ESA).